We made a lovely twist on this Dutch recipe. Have you ever heard of hete bliksem, translated to hot lightning. Sounds funny, doesn't it? But it's delicious! PEEL the potatoes and slice into chunks. RINSE them with cold water and add them to a medium-sized pan. FILL the pan with water and salt and bring to a boil. When the water has come to a boil, turn down the heat and let them cook for about 15 minutes. Depending on the size of the potato chunks. Meanwhile peel 3 apples and cut into chunks as well. ADD the apple chunks into the pan while the potatoes and apples cook some more together. Check the potatoes with a fork to see if they are ready. DRAIN the potatoes and apples and press them through a fine sieve using the ladle. 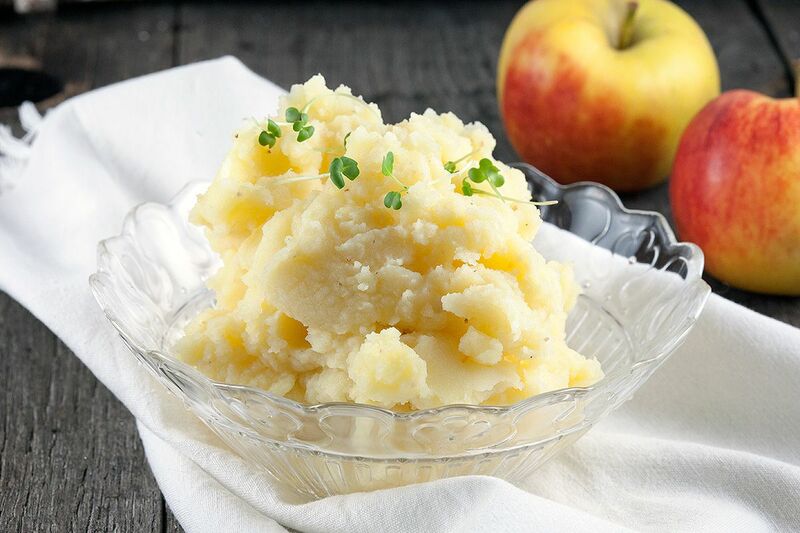 The easiest way is to get a spoonful of drained potatoes at a time. 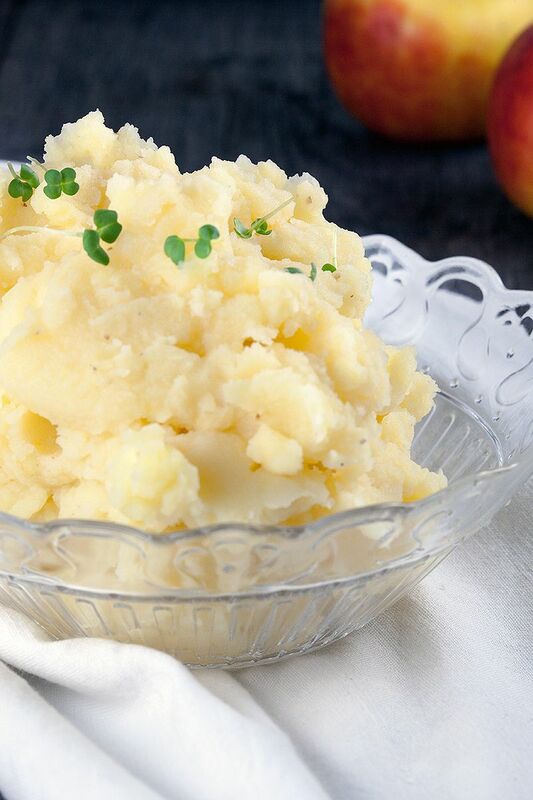 This way your mashed potatoes will be very smooth without any lumps. 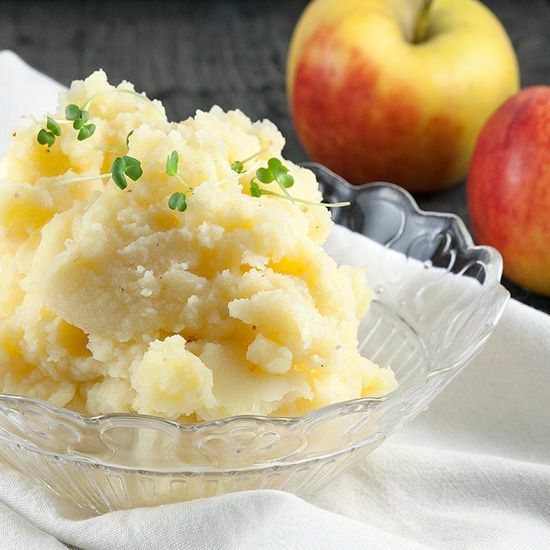 PEEL the last apple and cut as fine as you can, STIR into the mash, this way the hete bliksem will have a little bite to it. Classic hete bliksem is smooth, but the crunchy part will make a difference, really! 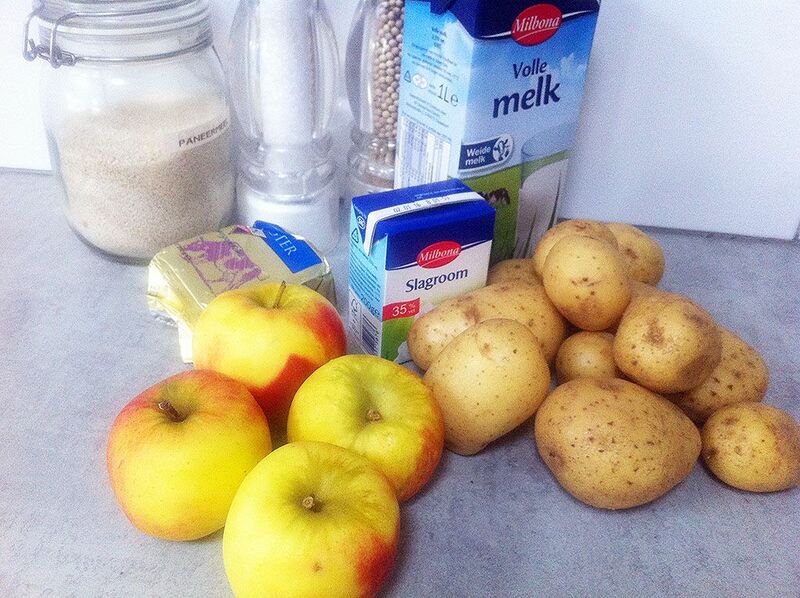 ADD butter, cream and milk to the potato and apple mixture. Also ADD the breadcrumbs and season with pepper and salt. You can now decide how creamy you like the hete bliksem to be by adding more milk and/or cream. We decided to keep it quite firm.